Solvang, California, USA – Solvang, named by MSN.com as one of the “50 Best Christmas Towns in All 50 States” and “America’s 50 Most Charming Small Towns for the Holidays” as well as Time Magazine’s “Most Christmassy Towns in America” will sparkle again during the 2018 annual Solvang Julefest (pronounced Yule-Fest) from December 1, 2018 through January 4, 2019. This year will feature the return of the popular Free Nisse Adventure Hunt, the Free Candlelight Tours and the addition of new VIP Candlelight Tours. More 2018 Solvang Julefest highlights include the Free Visits with Santa “Julemanden” in Solvang Park; free Nisse Adventure; Shop, Mingle & Jingle Weekends; Holiday Wine & Beer Walk “Skål Stroll!”; Community Tree-lighting Ceremony, Julefest Parade and free Nativity Pageant. Especially with free parking throughout the village, the incredible variety of more than 150 one-of-a-kind boutiques and specialty shops makes Solvang a perfect destination to shop for gifts and create holiday memories. Kids of all ages are invited to explore Solvang while trying to find twelve Danish Christmas Elves known as Jule Nisse (pronounced Yule Nee-suh) each about 16 inches tall, for this festive scavenger hunt. Stop by the Solvang Visitors Center at 1639 Copenhagen Drive between 9:00 a.m. and 5:00 p.m. daily, pick up a free “Nisse Adventure” map that provides clues. Take a picture of all 12 Jule Nisse on a smart phone or camera; then return to the Visitors Center to prove you’ve discovered their hiding places and receive a prize. There is no set schedule to find all the hidden Solvang Jule Nisse, just complete your adventure by December 31, 2018. **NEW** VIP Solvang Candlelight Walking Tours start at 4:30 p.m. departing from the Solvang Park Gazebo, Mission Drive at First Street for 90 minutes. Stroll and carol with a battery powered LED candle with a costumed tour guide around downtown sharing insider heritage and history; concluding with a private meet & greet with Santa Claus, hot cocoa and cookies at the Hotel Corque. Tickets are $25 per person (under age 2 free) with 25 guests per tour maximum. Free Solvang Candlelight Walking Tours start at 5:30 p.m. departing from the Solvang Park Gazebo, Mission Drive at First Street for 60 minutes. A costumed tour guide will provide guests with a complimentary souvenir battery powered LED candle; share history and fun facts about the Solvang while strolling and caroling along village sidewalks. Community Tree Lighting Ceremony in Solvang Park (Mission Drive & First Street). Begin with a free visit with Santa Clause from 4:00-6:00 p.m. then starting at 5:00 p.m., enjoy free live entertainment with area bands, choirs and caroling culminating in ballerinas from Fossemale Dance Studio performing around the 20-foot tall drought-tolerant LED tree. Shop, Mingle & Jingle – Sponsored by the Solvang Chamber of Commerce; discover exclusive happenings at Solvang merchants, live music, discounts and deals. Julefest Parade with 400+ participants including dancers, musical groups, vintage vehicles, horses, carriages and animals. The parade originates at Solvang Veterans Hall (1745 Mission Drive) travels west on Mission Drive, turns left on Fourth Place, turns (east) on Copenhagen Drive, and ends on Alisal Road near the village Post Office. Be on the lookout for the soon-to-be-named 2018 Grand Marshal. Shop, Mingle & Jingle – Sponsored by the Solvang Chamber of Commerce, discover exclusive happenings at Solvang merchants, live music, discounts and deals. 6:00-7:15 p.m. and 7:30-8:45 p.m.
Holiday Lights & Sights Trolley Tour features the best of seasonal décor throughout Solvang and Santa Ynez Valley. Festive music and hot chocolate will be provided on board by Solvang Parks & Recreation Department elves. Only two trips offered each night, departing from Solvang Veterans Memorial Hall, 1760 Mission Drive. Tickets are $13 per person in advance (sell out expected). To reserve, call 805-688-7529. Solvang 3rd Wednesday Holiday Edition, throughout the village featuring deals at local merchants, restaurants and gourmet food purveyors; the weekly Santa Barbara Certified Farmers Market from 2:00-6:00 p.m.; discounts at local hotels; and the 3rd Wednesday Wine & Beer Walk and $25 three-course menus at great restaurants. Annual Fire Safety Demonstration & Christmas Tree Burn in the fields of Old Mission Santa Inés (1760 Mission Drive); is supervised by the Santa Barbara County Fire Department as one of the largest fire safety demos and community gatherings on California’s Central Coast and coordinated by the Solvang Parks & Recreation Department. Live entertainment and refreshments for purchase will be available. Area residents are invited to bring their tree (stands & ornaments must be removed) to the burn pile between January 2-4, 2019 and then join together to see this powerful spectacle ignite the New Year and herald the end of Solvang’s Julefest. For more information on this one-of-its-kind event, call 805-688-7529. Solvang Julefest events are presented by the Solvang Conference & Visitors Bureau (SCVB) on behalf of the City of Solvang with sponsorship support from Visit Santa Ynez Valley and other area businesses. All Solvang Julefest events are open to the public with free admission (excluding Julefest Holiday Wine & Beer Walk and VIP Candlelight Tour). For more detailed information about all events, please visit www.SolvangUSA.com or call the Solvang Conference & Visitors Bureau at 1-800-468-6765 or 805-688-6144. (SANTA YNEZ VALLEY, Calif.) — When it comes to a day spent wine tasting with friends or family, there is no more difficult and unsung job than being a group’s designated driver. Often the individual who “volunteers” for the gig comes down to drawing straws. But there is a better way. In the Santa Ynez Valley — home to more than 100 wineries spread across its six distinct communities — wine tours are experiencing a resurgence in popularity as a way to enjoy the wineries that have made this fertile region a true wine country gem. For good reason, too. It’s true. 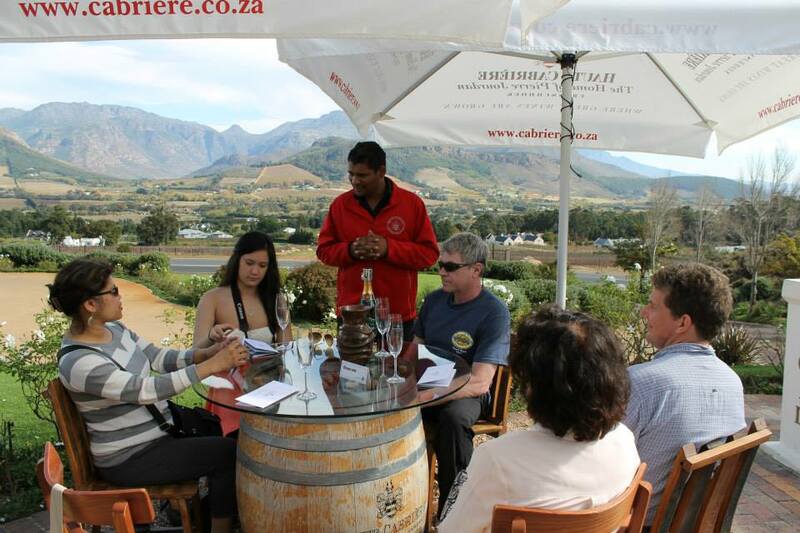 Wine tour operators are not only drivers who shepherd imbibers from tasting room to tasting room, often in luxury vehicles. Many are experts in the Santa Ynez Valley wine industry, who know intimately the wineries, winemakers, and varietals that suit most any palate. Not to mention they are also quick to offer recommendations for everything from restaurants and bars, to spas and hiking trails. 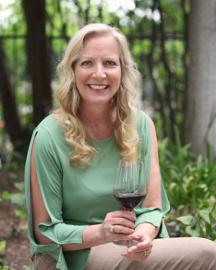 “It’s not just about wine, it’s also about the experience,” said Bill Henderson, owner and operator of Compass Wine Tours, which is based in Solvang. 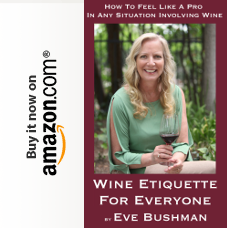 “The best wine tour host is just that — a host. 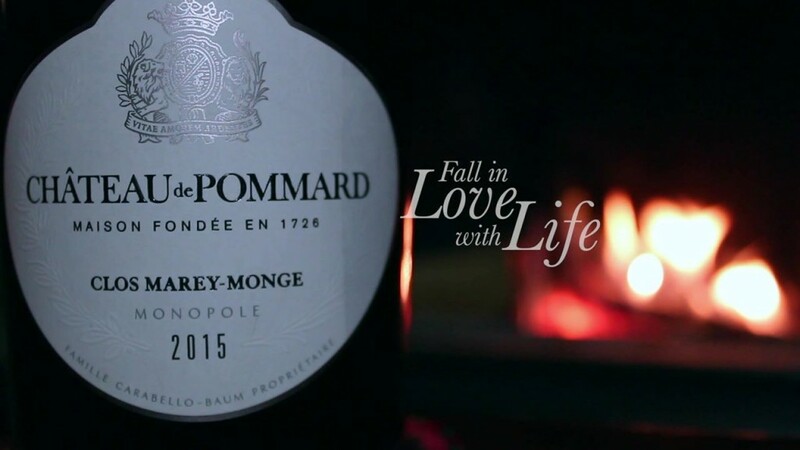 They know the wines and winemakers, and have vetted them for their clients in advance. Visitors have plenty of choices, too. 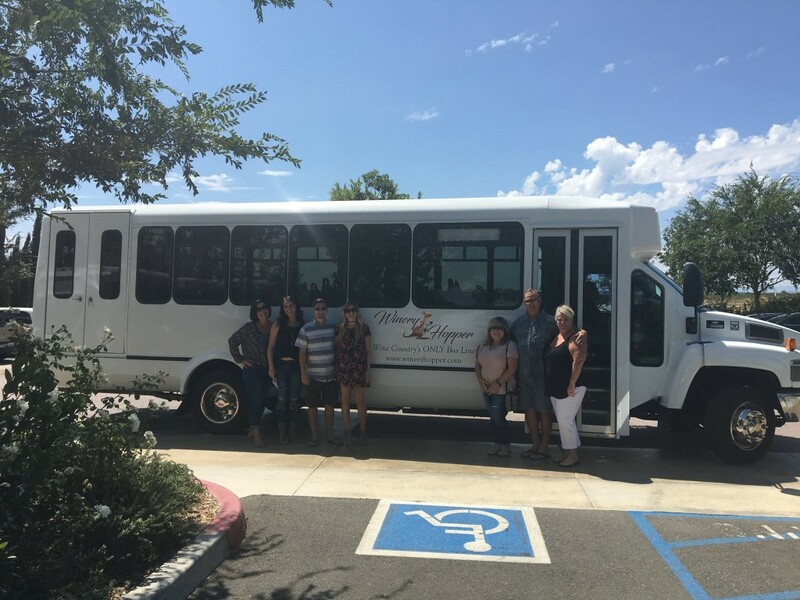 Breakaway Tours & Event Planning, Classic Wine Tours of Santa Barbara, Grapeline Wine Tours, Los Olivos Limousine & Wine Tours, Santa Barbara Wine Country Tours, and Stagecoach Co. Wine Tours are among the wine tour operators in the Santa Ynez Valley. 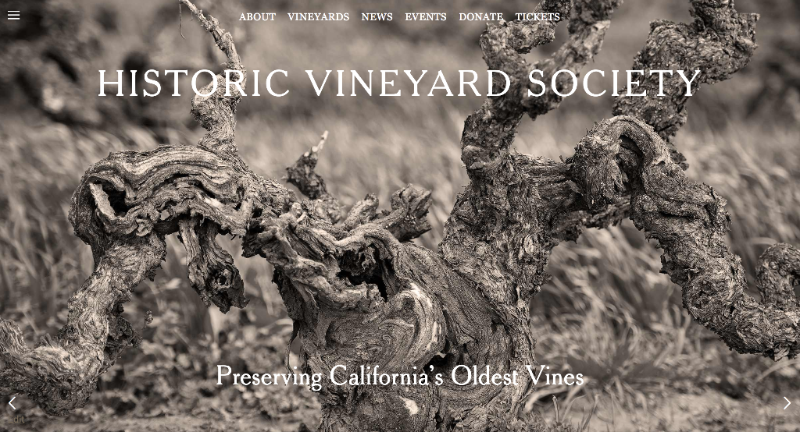 Planning a trip to the Santa Ynez Valley is simple at visitsyv.com, where visitors can research events and attractions, book lodging and activities, create custom travel itineraries, and even book their own customized wine tours. Visit Santa Barbara invites visitors to experience The American Riviera® this winter with the “Revive & Thrive” hotel promotion. Guests who book two nights will receive a complimentary third night at 20 participating Santa Barbara South Coast hotels. “Revive & Thrive” packages are available for three-night stays between January 16 and March 31, 2017, and can be booked directly through participating hotels’ websites. Participating hotels range in type from luxurious hideaways and grand oceanfront resorts to charming inns and boutique urban retreats. The “Revive & Thrive” lodging packages also include exclusive discounts and upgrades on a variety of experiences through “Miss Nothing” Experience Kits provided upon check-in. Go to SantaBarbaraCA.com/MissNothing/Revive-Thrive for full promotion details and links to participating hotel partners. See below for a complete list of hotel and experience partners. “Revive & Thrive” perks extend beyond bonus vacation time. 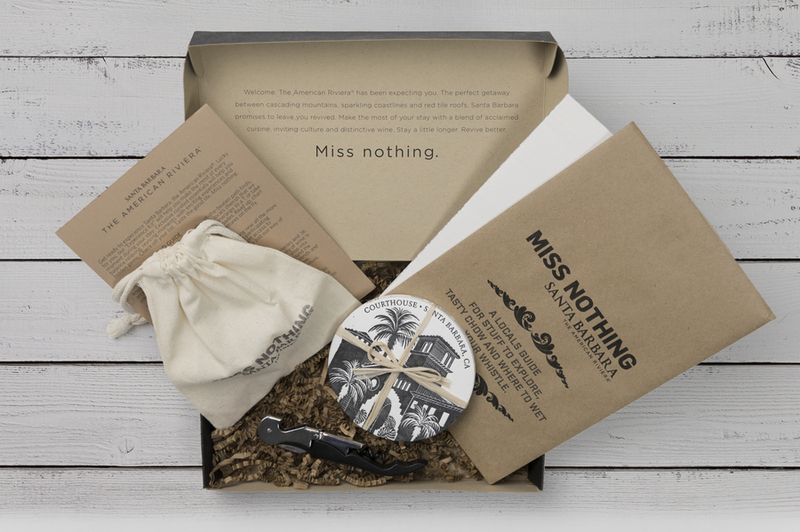 At check-in, guests will receive a “Miss Nothing” Experience Kit to help make the most of every moment spent in Santa Barbara. Kits include a limited-edition Santa Barbara Field Guide and five “Miss Nothing” Experience Tokens. Guests can use the tokens to select exclusive two-for-one offers, discounts and upgrades from more than 30 participating Santa Barbara South Coast wineries, restaurants, retailers, tour providers and attractions. Among the token offers are two-for-one wine tastings, beer-tasting flights, theater tickets, museum admissions, trolley tours, coastal cruises and rounds of golf, as well as bike, kayak and stand-up paddle board rentals. 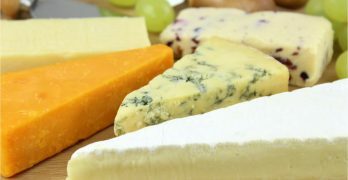 Other offers include discounts on guided wine and food tours, expert-led outdoor adventures and sensational seasonal cuisine. Tokens can also be redeemed for retail rewards and value-adds like spa treatment enhancements, complimentary chocolate pairings and gifts. Voted “Best Beach Town” by Sunset magazine in its inaugural travel awards, Santa Barbara is nestled between the Santa Ynez Mountains and the Pacific Ocean along California’s Central Coast. Known as “The American Riviera,” it offers majestic natural beauty paired with Spanish-style architecture, just 92 miles north of Los Angeles. Visitors can arrive via scenic Highway 101, train, bus or by flying into Santa Barbara Municipal Airport (SBA) or Los Angeles International Airport (LAX). And they’ll want to stay a few nights to experience the region’s sweeping ocean panoramas, world-renowned wine scene, enthralling cultural and outdoor activities, and welcoming spirit. For travel and accommodation information and to request a free copy of the official Santa Barbara Visitors Magazine, contact Visit Santa Barbara at (800) 676-1266 or (805) 966-9222, email tourism(at)santabarbaraca(dot)com or visit http://www.SantaBarbaraCA.com. Visitor information is also available at the Visitor Center, 1 Garden St. at Cabrillo Boulevard. 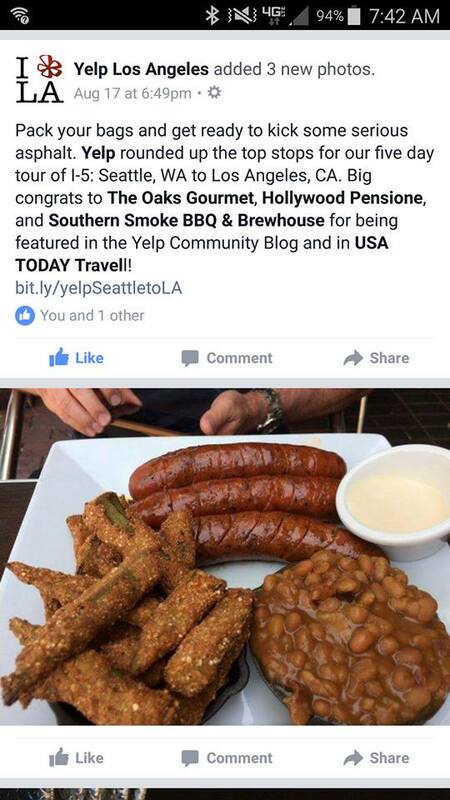 (SANTA CLARITA VALLEY) August 19, 2016 – One of Santa Clarita Valley’s newest restaurant, Southern Smoke BBQ and Brewhouse, located on the now-trendy Main Street in downtown Newhall, has made national news as they were named a Top Tour Destination by Yelp Los Angeles. 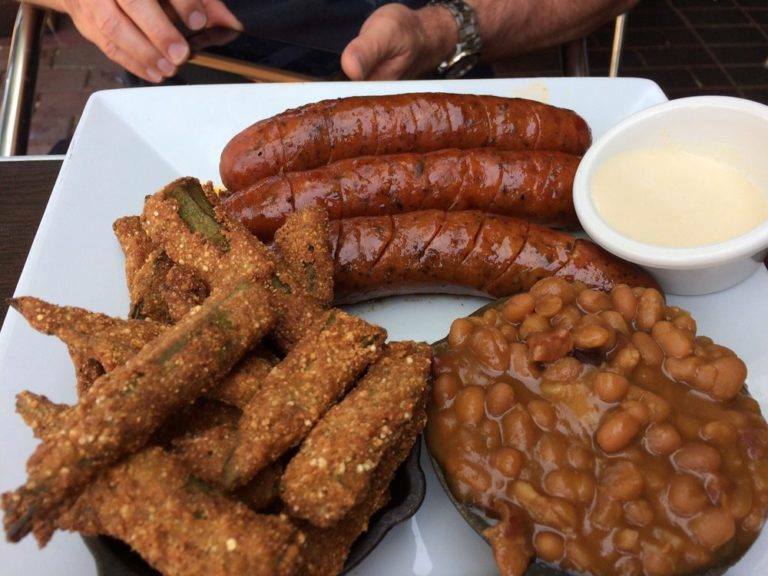 Southern Smoke BBQ and Brewhouse, 24255 Main St, Santa Clarita, California 91321, telephone 661-888-4585.